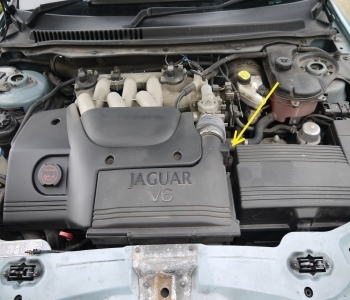 The Jaguar X Type uses a hot wire mass airflow sensor to determine both the temperature and mass of air flowing into the engine's air-intake, ( obviously the two are very interrelated). 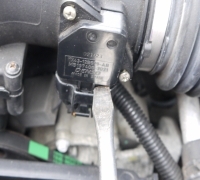 The DENSO unit fitted to the Jaguar X Type Petrol engine has dual sensors, an air temperature sensor (thermistor) and the actual air flow sensors. There is little that can be done to repair this item, however in many cases the problem may be that it is just dirty, and they can be cleaned. Symptoms of a faulty MAF sensor can include difficulty starting, hesitation or surging under load, a rough idle, a 'hiccup' when rapidly accelerating. In automatic transmissions rapid or erratic gear change can flag transmission errors "Cruise Not Available" errors. The MIL normally illuminates and may show P1111 Intake Air Temperature (IAT) Sensor Circuit Intermittent High Voltage or P1112 Intake Air Temperature (IAT) Sensor Circuit Intermittent Low Voltage, along with associated lean or rich mixture errors. 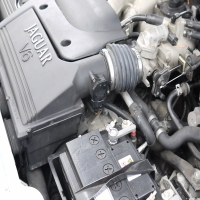 On the 2.0l engine the MAF sensor is located to the RH side of the engine air intake pipe. It is secured with to philips screws. The best way to access it is to remove the battery top cover, however take care not to short out the positive terminal of the battery with your screwdriver. The connector fits to the base of the sensor and is released by pressing the clip and pulling the connector. It is quite tight and the best way to release it is by twisting a large flat blade screwdriver whilst pressing the clip in. 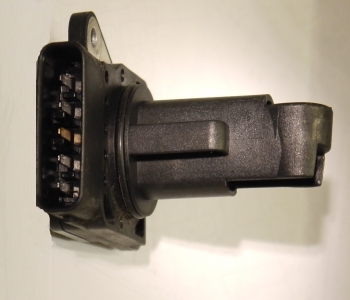 Once the connector is loosened remove the two securing screws and pull the sensor out whilst releasing the connector.